"Right now, we're reviewing our options and when we have something to say on it, we'll let you know," Press Secretary Sarah Huckabee Sanders said, repeating that Donald Trump would sign the the bill to impose sanctions on Russia, but refusing to say when. 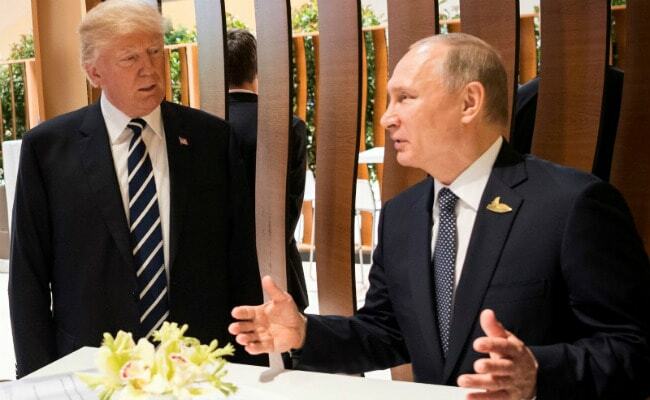 Washington: Washington is reviewing its options after the Kremlin ordered it to shrink its diplomatic mission in Russia, and President Donald Trump still intends to sign new sanctions into law. Questioned by reporters Monday, White House spokeswoman Sarah Huckabee Sanders had only a low-key response to President Vladimir Putin's extraordinary demand that the embassy cut its local and American staff by 755. A State Department official has anonymously called the weekend's development "regrettable," but Trump has not launched any of his trademark tweets to protest the Russian action, a response to the sanctions bill. "Right now, we're reviewing our options and when we have something to say on it, we'll let you know," Sanders said, repeating that Trump would sign the the bill but refusing to say when. On Thursday, the US Senate overwhelmingly approved a bill to toughen sanctions on Russia for allegedly meddling in the 2016 US presidential election and its intervention in Ukraine. Iran and North Korea are also targeted in the sanctions bill. The White House said Trump intends to sign off on the legislation, despite complaining earlier it would cut off the president's leeway to seek a broader diplomatic rapprochement. Russia's foreign ministry on Friday struck preemptively by ordering Washington to reduce its diplomatic presence to 455 before September 1 -- bringing it in line with the size of Russia's mission in the US.